They apprised that this day is celebrated on the first Sunday of May every year. They said laughing and hugging make us feel good and improve our everyday chores. A day without laughter is a day wasted. So we must laugh whenever we can. They also added that laughing is a powerful emotion to change the world into a peaceful and positive place. Principal V. Tiwana appreciated the effort of the little ones and conducted a quiz. 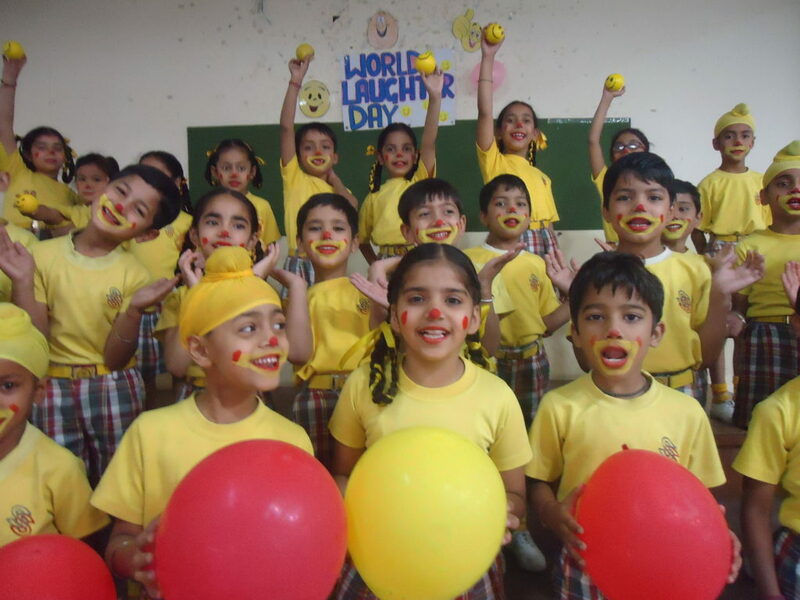 Words like smile, laughter, grin and guffaw were introduced and students explained each of them by demonstrating the difference between smile and laughter, laughter and guffaw.